Without Black Sabbath there wouldn't be heavy metal. They released two classic albums in 1970 that defined an entire genre. Their eponymous debut opens with the tolling bells of 'Black Sabbath' alongside 'The Wizard', 'NIB' and 'Evil Woman', while Paranoid includes 'War Pigs', 'Paranoid' and 'Iron Man' and 'Faeries Wear Boots'. 1971's Masters of Reality went even heavier sowing the seeds for what would become doom metal and stoner rock on tracks like 'Sweet Leaf', 'Into the Void' and 'Children of the Grave'. Ozzy Osbourne's lyrics brought horror to rock'n'roll and Tony Iommi's detuned guitar style and deep resonating riffs made them sound like no other band. Many critics were appalled and terrified by their early releases but they found an audience who craved something darker and weightier. Over the years, drink and drugs took their toll and after troubled recording sessions for Technical Ecstasy (1976) and Never Say Die! (1978), Ozzy was kicked out. Iommi, bassist Geezer Butler and drummer Bill Ward recruited Rainbow's Ronnie James Dio as their new vocalist. He was followed by a revolving door of singers (that included Deep Purple's Ian Gillan and Glenn Hughes) and personnel changes. The band officially went on hiatus in 1995 before the original lineup reunited in 1997 and continued to tour (unfortunately without Ward from 2012 onwards) on and off until 2017 when they returned to where it had all started and played their final ever gig together in Birmingham. Iommi was the only continuous member through these various lineups and permutations. His guitar playing was the foundation on which all of Black Sabbath's music was built. Now he's heading to Scotland for two very special events where he will appear in conversation with former Kerrang! editor Phil Alexander. Can you tell us about these events you have coming up with Phil Alexander? It's just me talking about my life really. Experiences, the different members in the band, all the things that have happened in my career. I don't know what questions Phil's gonna ask but he's so good, he's known me so many years, he knows all the incarnations of Sabbath so I'm sure he'll have a lot of interesting questions. Could you tell about the accident you had as a teenager? My fingers were damaged when I used to work in a factory welding. The metal parts would be sent to me and I'd weld them. One day the bloke who used to usually send them to me, and bent all this steel, didn't come in so they put me on his machine. I'd never worked the machine before, I wasn't shown properly, basically it came down on my hands and as I pulled my hands back I pulled the end of my fingers off. It was like a big guillotine. However, this led to your unique guitar style in Black Sabbath. It changed my whole life in terms of playing. Firstly, I was told I'd never be able to play again by various doctors, so I had to develop something that would allow me to play. So I made my own finger tips [out of plastic] because they were very sore and painful, I had to learn to play again, a different style of playing, and try and find a way that made it comfortable and didn't hurt. I had to look at the guitar completely differently and set it up with different strings, the whole thing had to change. When you started out did you think this darker heavier music would find an audience? As no one else was playing anything like Black Sabbath at the time. I think the thing with music is you've got to do what is in you, and believe in what you do. If you start aiming towards a fanbase, you are doing something other people want, so first and foremost you have to do what you want and hope other people like it. It took a long time because there wasn't the internet or anything like that so it was all word of mouth, getting out, working and doing it. When did you first see the word 'metal' associated with Black Sabbath? That was a lot later around 1973 or 74. It was an interview I was doing, I think it was with Melody Maker, they said 'you play metal,' and I was like 'what's that?' because I'd always classed ourselves as heavy rock. How does it feel to be credited with inventing a whole genre? Fantastic. It's unbelievable really. It's really pleasing to see when you look back from being told you're never going to play again to inventing a new sound and a new sort of music. Apart from Ozzy and Dio who has been your favourite vocalist to work with? I wouldn't like to say, there's been so many good singers on my solo projects. Dave Grohl was great, I really liked working with him, he's really keen and enthusiastic. Ozzy was recently quoted as saying he 'didn't have a great time' on the last Sabbath tour. Do you have a response to that? I saw that but I don't know what he meant. I had a great time on the last tour playing with the guys and Ozzy never mentioned anything to me. He seemed to enjoy it and we had a laugh so I don't know, so I think possibly that quote was taken out of context. Black Sabbath might be over but I'm assuming you're still working on music. I couldn't stop playing, but the thing is now I can do it in my own time. When you are touring, it's booked for 18 months - which is fantastic I love playing on stage - the reason I stopped was the travelling. It takes it out of your body. Even though we travelled with our own plane, great hotels, you still get tired and get to bed at four or five in the morning, but I still love being on stage, I love playing and I love seeing the fans. At the moment, I'm in the process of remixing [Black Sabbath's 1995] Forbidden with Tony Martin [vocals], Cozy Powell [drums] and Neil Murray [bass]. That's an album I've never been satisfied with so I'm about to start pulling that apart and remix it. 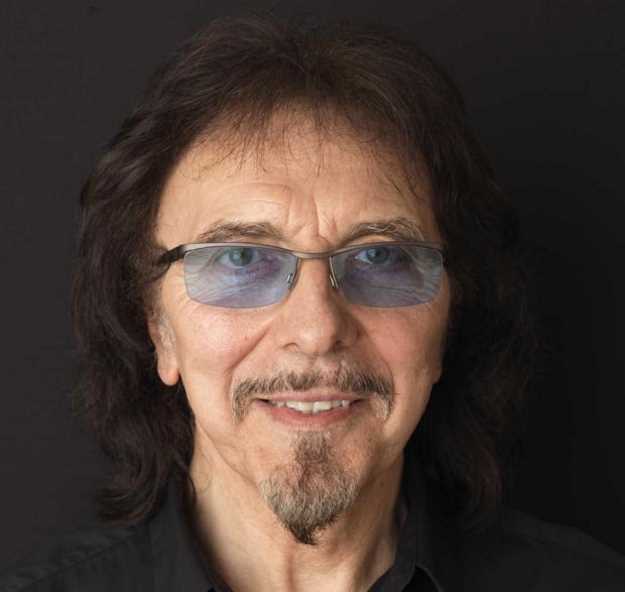 Tony Iommi in Conversation: 'A Life In Music', Town Hall, Paisley, Fri 12 Oct; Assembly Rooms, Edinburgh, Sat 13 Oct.